Now that we had successfully made our own homemade mozzarella cheese and let it cool in the fridge, it was time to test our handiwork. We put it in the fridge all twisted as you saw in the pics from our previous post. However when we took it back out, it had all settled and merged into one piece which really wasn’t any particular shape at all. At the time we didn’t know how we should form it for it’s final product so the twist made sense, though now that we know it will settle into a solid piece we will need to think about how to form it more properly. Initial tastes of just the cheese were very positive. It was actually quite good; delicate, buttery and delicious. Frankly I could have kept eating it by itself, but we wanted to try it out as part of a dish. 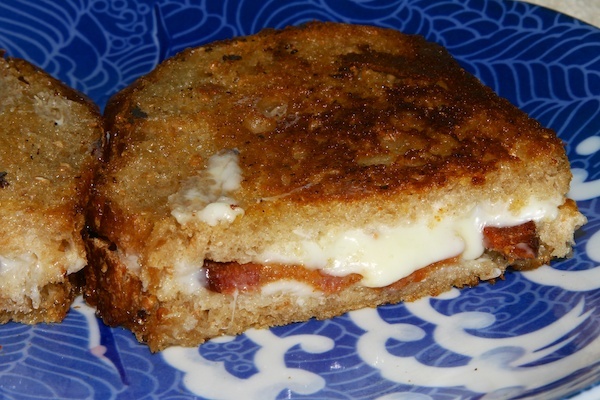 The easiest idea given the ingredients at hand was to make grilled cheese sandwiches. The process was simple. 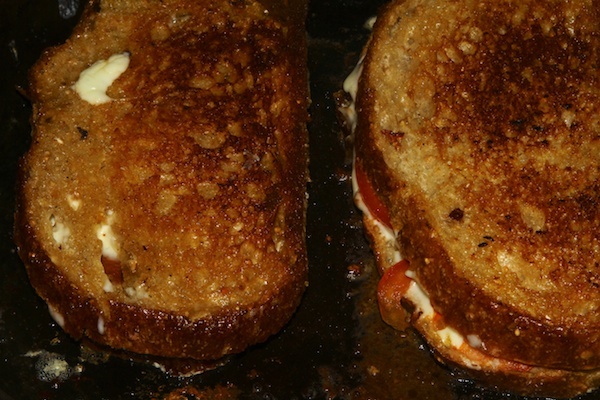 I am sure everyone out there has made a grilled cheese sandwich before so I’ll keep the explanation minimal and let the pictures do the talking. 1. 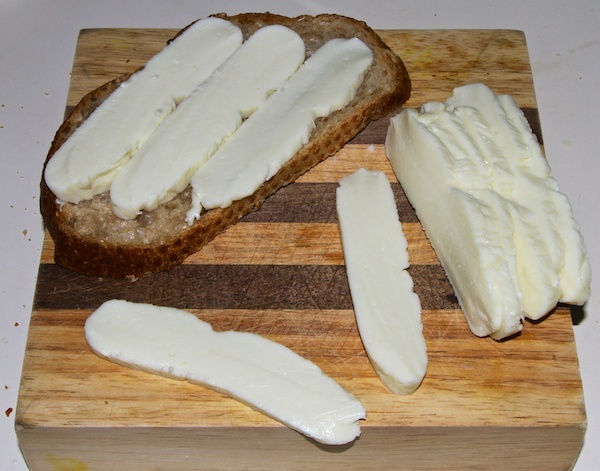 We lightly buttered 2 slices of bread then sliced the cheese into strips, laying the strips out to cover the bread. 2. We cooked up some bacon in the cast iron skillet to use because who in their right mind doesn’t like bacon on their grilled cheese sandwich. 🙂 Added a bit more cheese on top of the bacon to make sure the bread stuck. 3. 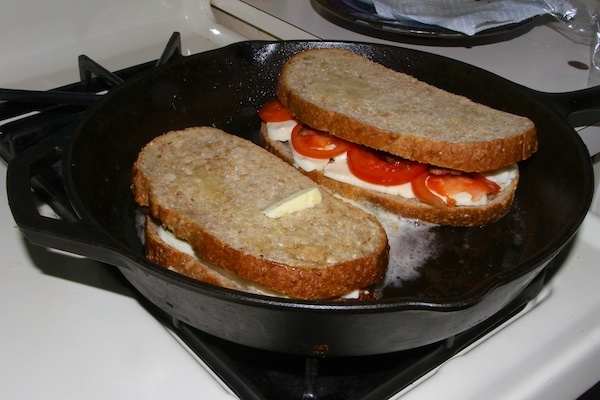 Once the sandwiches were made we cooked them in the cast iron skillet with the remaining bacon grease. As you can see in this pic, one of them also has tomato added. 4. Don’t they look amazing all toasted on each side? 5. This one was mine. 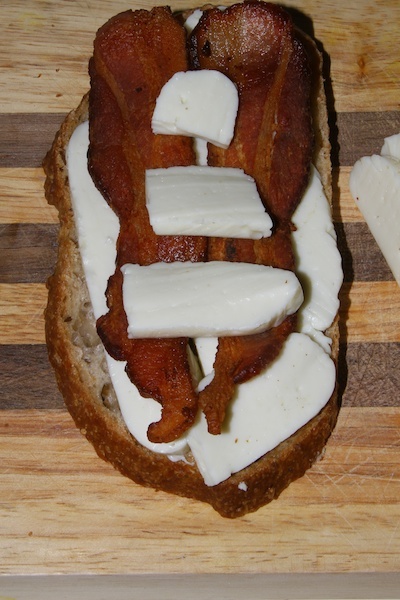 Just cheese and bacon. I kinda want to eat this picture right now. 6. 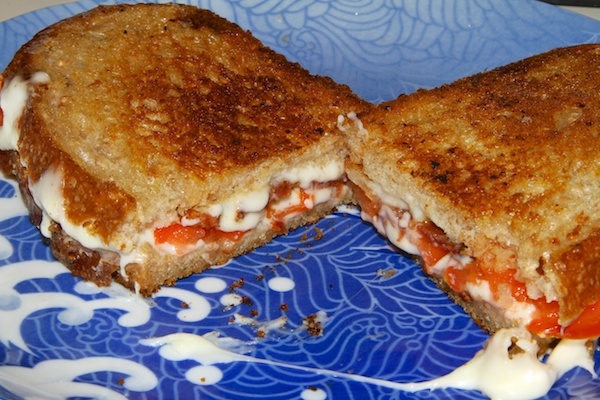 This one is the cheese, bacon and tomato. If you think they look delicious, you should have tasted them! The mozzarella wasn’t stringy as you would normally imagine, just beautifully soft melted cheese. They really tasted quite heavenly! I will go ahead and assume that was either due to the super fresh homemade cheese itself, or perhaps partly just knowing that we made the cheese ourselves. In any case it was totally worth it. I’m excited to do it again! 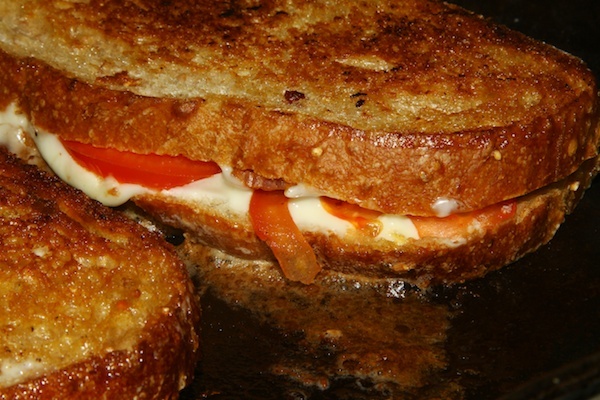 Cut sandwich in half and enjoy! 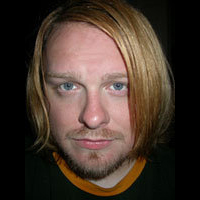 I'm a UI Engineer by trade which makes me the de facto site guy. I'm also a photographer, potter and part time baker. And with this blog, I suppose I am an occasional writer as well.